Animals in costume are just a part of Oaxaca's unending magic. From the magnificent ancient Zapotec site of Monte Alban to the unique ruins of Mitla , from visits to the rug weavers of Teotitlán del Valle, the makers of black pottery in Coyotecpec and the woodcarvers and painters of San Martin Ticajete who make the whimsical Oaxacan "alibrijes" Oaxaca has an ongoing tradition of art and story. And then there's the food -- from freshly ground chocolate to three different moles, from homemade ice cream to locally crafted mezcal. And of course, we will witness the family of animals, come for their yearly blessing. More! 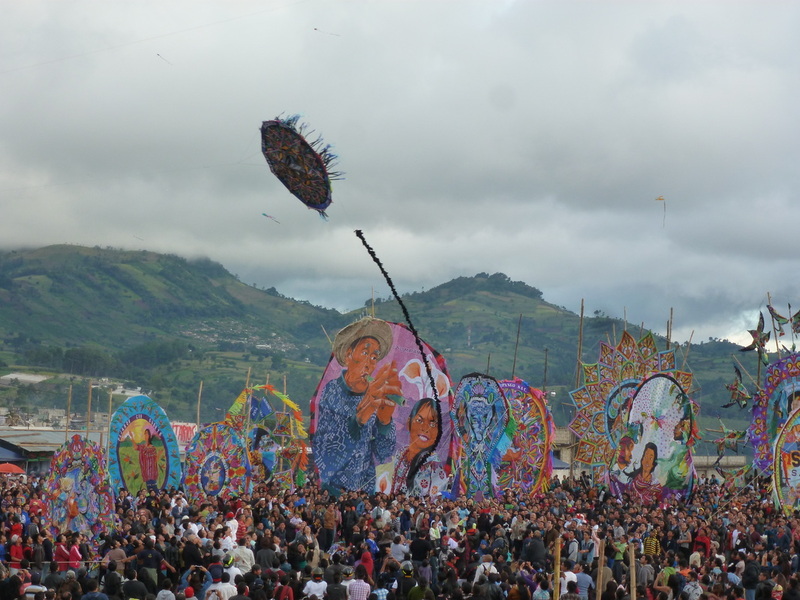 This is the sixth year BFGT tours is honored to offer a tour to the Giant Kites of Sumpango over the Day of the Dead with master kitemaker, Julio Asturias. One of the most impressive Day of the Dead celebrations in Latin America, Sumpango is one of two Kachikel Mayan pueblos which make Giant Kites to protect their pueblo, speak to their ancestors and increasingly to share a message with the world. Over 600 people spend every night for months creating a mosaic of chinese tissue paper and glue for the one day celebration. Some of these kites are as tall as a 6 story building! Learn about the tradition of kitemaking in Guatemala and make your own eight-sided Guatemalan kite from tissue paper and glue!. 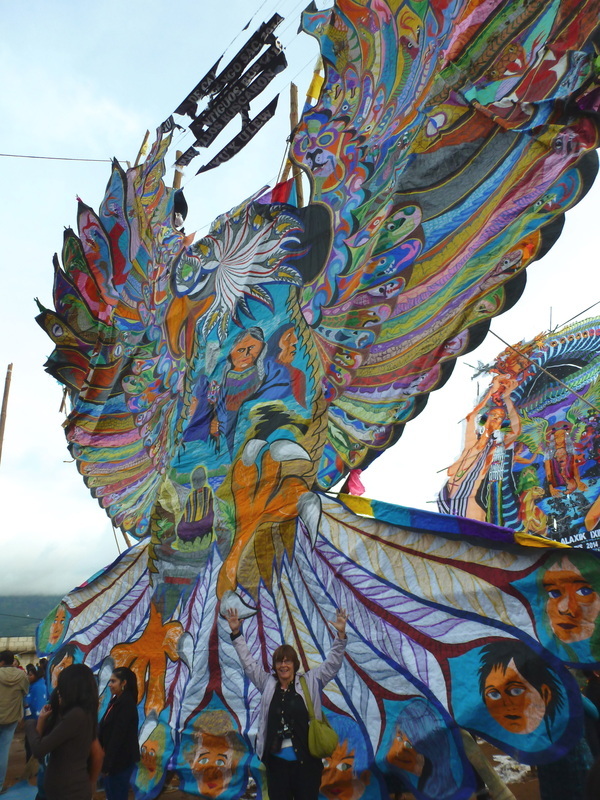 See a giant kite made for the Day of the Dead celebration in Sumpango in this one day playful, cultural, educational and uplifting experience. More!